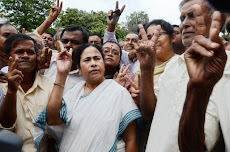 Kolkata, 31 March : Trinamool Congress MP Kabir Suman, who had sent a text message to his party chief on Monday night announcing his resignation from the party and the Lok Sabha, postponed the decision by a week on Wednesday following a request by noted writer Mahasweta Devi. 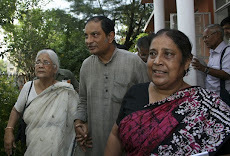 The decision was announced by Suman himself after a three-hour meeting with Mahasweta Devi at her South Kolkata home. 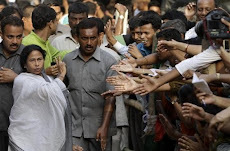 According to sources, Suman has demanded the removal of Sobhan Chatterjee from the post of Trinamool Congress South 24 Parganas district president. New Delhi, 31 March : Foundation for Media Professionals, Delhi in its eleventh series of media dialogue organized a panel discussion today on 'North East: Fallen off the Media Map?' in collaboration with Nehru Memorial Museum and Friedrich Ebert Stiftung. The panels comprised of Subir Bhaumik, BBC Eastern India Correspondent and Bengal Newz columnist, Pradip Phanjoubam, Editor, Imphal Free Press, Syed Zarir Hussain, Managing Editor, News Live, Assam, Dibang, former Managing Editor, NDTV India, Sanjoy Hazarika, Centre for North East Studies and RS Pandey, Interlocutor Naga Peace Talk and Former Chief Secretary, Nagaland with session moderator Sevanti Ninan, Editor, thehoot.org. 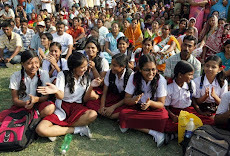 Hundreds of students and people from the North east residing in the capital attended the session. Kolkata, 31 March : Indian Home Minister P Chidambaram will meet West Bengal Chief Minister Buddhadeb Bhattacharjee on Saturday and visit Lalgarh in West Midnapore district the next day. 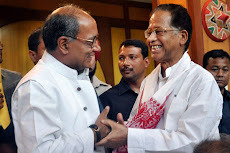 The home ministry contacted the state home department about Chidambaram's visit, state's Under-Secretary (Home) Tanmoy Chakraborty told reporters at Writers' Buildings on Wednesday. 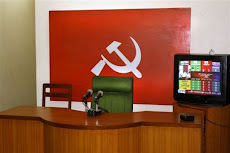 The meeting comes amidst speculation that top Maoist leader Kisenji was either injured or killed in a recent encounter with joint forces in West Midnapore. 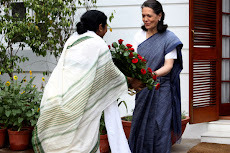 Bhattacharjee had attended the meeting of chief ministers in Kolkata on February 9 convened by Chidamabaram to review the Maoist situation. 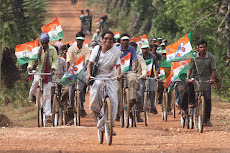 Orissa Chief Minister Naveen Patnaik and the deputy chief minister of Jharkhand also attended it. 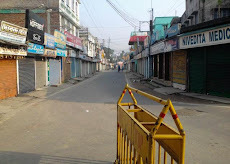 Howrah, 31 March : Labourers today torched staff quarters, trade union offices and godowns after authorities of Delta Jute Mill at Manikpur in Howrah district announced suspension of work, police said here. A notice in this regard was pasted on the mill's gate. 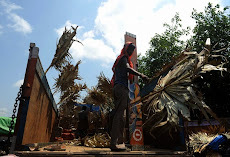 When workers saw it in the morning they got agitated and forcefully entered the mill premises. 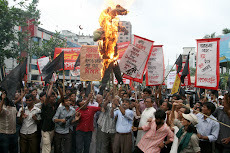 They set afire jute godowns, vandalised several residential quarters and four trade union offices of various party affiliation, officials said. 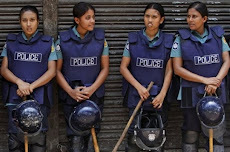 Dhaka, 31 March : Bangladesh's Rapid Action Battalion on Wednesday seized 3,300 unregistered mobile phone connections from a shopping mall in city and held five persons in this connection. Sources said a team led by squadron leader Khalid Shams raided different shops at Motalib Plaza near Hatirpool Bazar and seized the SIM cards. 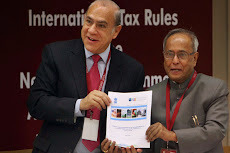 BSS, Dhaka, 31 March : Interpol is set to launch a simultaneous campaign in 188 countries from May this year to net 73 fugitive Bangladeshis including the six absconding 1975 killers under a drive called Operation Infra Red, 2010. 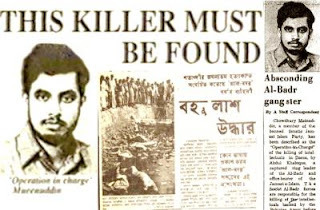 The six absconding killers are lieutenant colonels Khandaker Abdur Rashid, Shariful Haque Dalim, AM Rashed Chowdhury, HBM Noor Chowdhury, captain Abdul Majed and risaldar Moslehuddin. Officials said the planned campaign was finalised at the end of the three-day sixth annual conference of the Heads of National Central Bureaus (NBC's) of the Interpol at its headquarters in France earlier this month. 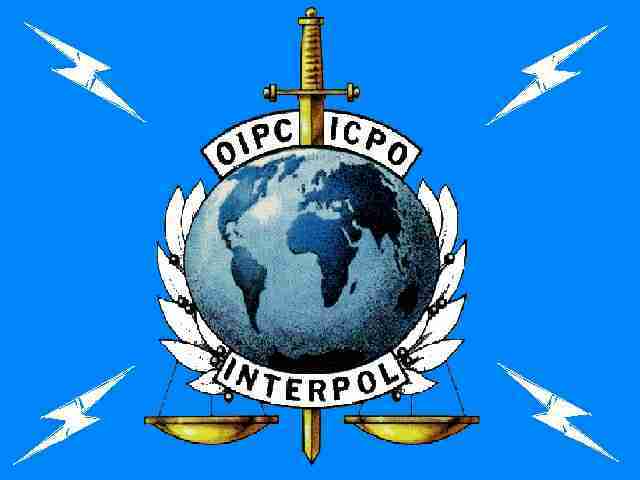 "The government will formally request the concerned countries to extradite the fugitives once they are tracked down under the Interpol operation," said Additional Inspector General of Police and head of Bangladesh NCB Nabo Bikram Kishore Tripura. 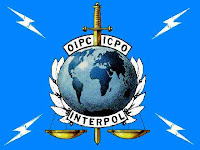 Tripura, who led a three-member police delegation to the conference, said the police forces of the Interpol member countries would launch the drive to track down several thousand of wanted criminals while "every member countries provided a special list of their 'top 20' or most wanted fugitives". He said of the apart from the six convicted Bangabandhu killers, others were gangsters or absconding convicts. Assistant Inspector General (AIG) of Interpol Hasib Aziz and Additional Superintendent of Police (Adi-SP-Interpol) Ashfaqul Alam were two other members of the Bangladesh delegation to the conference joined by 250 senior officials of 188 countries. 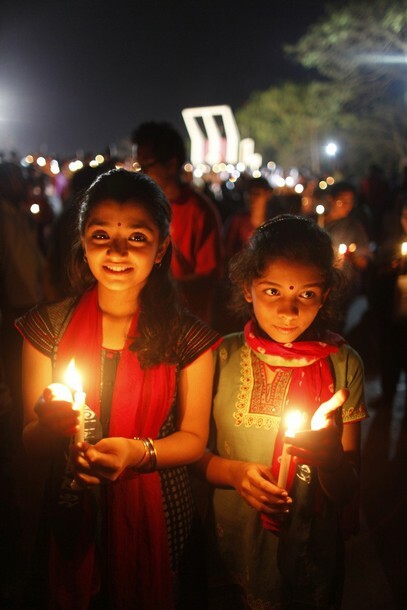 Guwahati, 31 March : The Assam Assembly on Wednesday passed the Assam Public Health Bill, 2010 that guarantees the right of every citizen to health and well-being. 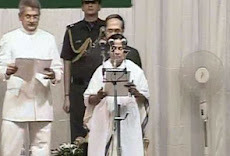 The bill was tabled on 11 March, making Assam the fist state to do so. The Assam Public Health Act makes it mandatory for all nursing homes and hospitals, government or private, to provide free healthcare to an emergency patient of any kind for the first 24 hours. "This Act is the first step in India towards making healthcare a fundamental right and we hope it would revolutionize our health sector," said Health Minister Himanta Biswa Sarma. "Rules would be framed to define emergency under the legislation, " he added. 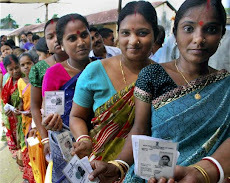 Kolkata, 31 March : The West Bengal government announced its decision to reserve 50% seats for women in panchayat bodies before the 2013 civic polls. Reading out the government's decision suo motu in the state Assembly yesterday, Panchayat Minister Anisur Rahaman said necessary amendments to the rules would be made. ''This has become necessary since the present policy of 'not less than one-third' reservation for women is not adequate,'' he said. 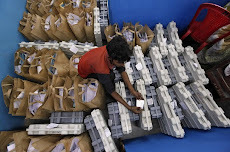 Operationalising the decision will require amendment of the appropriate provisions of the West Bengal Panchayat Act, 1973, West Bengal Panchayat Elections Act, 2003, West Bengal Panchayat (Election) Rules and some other rules, he said. 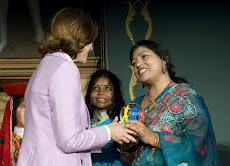 BSS, Dhaka, 31 March : Bangladesh Prime Minister Sheikh Hasina has been awarded the prestigious "ASOCIO Special Recognition Award-2010" for her "unique vision and tremendous efforts" to turn the country into a modern ICT-based digital Bangladesh. Asian-Oceanian Computing Industry Organization (ASOCIO) President Looi Kien Leong handed over the award to Sheikh Hasina at the opening ceremony of BCS Digital Expo-2010 at Sheraton Hotel here this morning. Later, the prime minister dedicated the award to the young generation of the country, who are playing an effective role in implementing the government's vision for building an ICT-based modern Bangladesh. "It is a great honour for the people of Bangladesh and the award will further increase the country's image and help building an ICT- based modern Bangladesh," the prime minister said after receiving the award. Among the countries of Asia Oceania, previously, former Malaysian prime minister Dr Mahathir bin Mohamad (1998), former prime minister of Thailand Thaksin Shinawatra (2002), former prime minister of Vietnam Phan Van Khai and former ICT minister of India Promod Mohajon were awarded the prestigious ASOCIO Award. 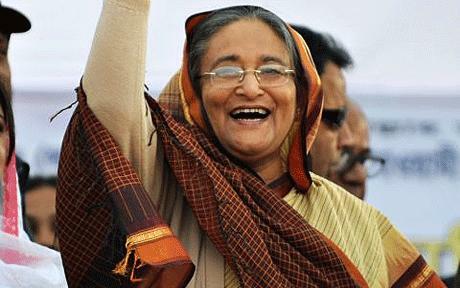 Prime Minister Sheikh Hasina is the first head of the government in the South Asia who received the award. Agartala, 31 March : Tripura has decided to fill up 4,712 government job vacancies in one go to tackle growing unemployment in the state, a minister said here Wednesday. 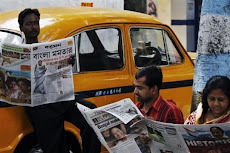 "The school education department has issued 4,712 job offers in the past one week," School Education Minister Tapan Chakraborty told reporters. "We will offer several hundred government jobs in May for the unemployed youths." 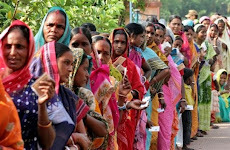 Currently, Tripura has 550,000 registered (matriculation and above) unemployed youths. "As Tripura, like most of the northeastern states, has no big industries government jobs are the main opportunity for the unemployed," the minister added. 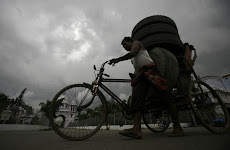 The Tripura government last provided bulk employment in 1996. AP, New Delhi, 30 March : Officials say a 6.8-magnitude earthquake has hit the Andaman and Nicobar Islands in the Bay of Bengal but no damage has been reported. 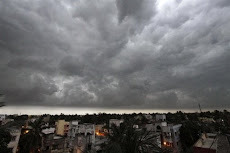 Indian Meteorological Department adviser R. Bhattacharya says the epicenter was north off the coast of the islands. Local police official Shabbir Ahmad in Port Blair, the main city in the region, says no damage has been reported so far. Vivek Ray, a senior Port Blair official, told NDTV news channel no tsunami warning has been issued. He says two people have been hurt after jumping off a building when the temblor struck. The U.S. Geological Survey says the earthquake was 6.4 magnitude and hit about 10:25 p.m. local time Tuesday. Dhaka, 30 March : At least 15 foreign militant organisations were active or are still operating in Bangladesh since 1991 using the country as a safe shelter or transit to infiltrate neighbouring countries. 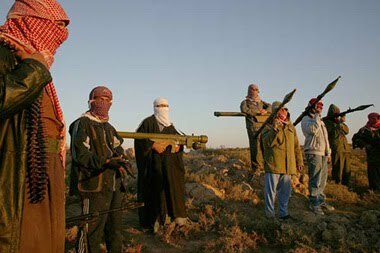 The organisations are Pakistan-based Lashkar-e-Taiba (LeT), Tehrik-e-Jehad-e-Islami-Kashmiri (TJI), Harkat-ul Mujahideen, Harkat-ul-Jehadul Islami, Hizb-ul Mujahideen (HuM), Hezbe Islami, Jamiatul Mujahideen, Harkatul Ansar, Jammu and Kashmir Liberation Front (JKLF), Jaish-e-Mohammed (JeM), India-based Asif Reza Commando Force (ARCF), Myanmar-based militant groups Rohingya Solidarity Organisation (RSO), Arakan Rohingya National Organization (ARNO) and National United Party of Arakan (NUPA). This was revealed from the statements of several detained foreign and local militants and insiders of different intelligence and law-enforcement agencies dealing with militancy. 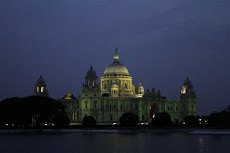 Kolkata, 30 March : The West Bengal government will allot 50 acres of land to software major Infosys in New Town on the northeast fringes of the city in the next 10 days, Housing Minister Gautam Deb said here Tuesday. "Infosys have agreed to take land in the state. We will sit with the IT minister (Debesh Das) and Housing Infrastructure Development Corporation officials to finalise the modalities. 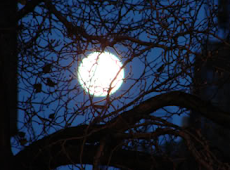 It will be done in 10 days," said Deb. 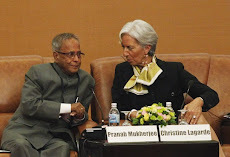 PTI, New Delhi, 30 March : Indian Finance Minister Pranab Mukherjee on Tuesday pitched for imparting fresh impetus to economic recovery to quickly revert to the nine per cent growth rate and cross the double-digit growth barrier. "First challenge before us is to quickly revert to high Gross Domestic Product (GDP) growth of nine per cent ... And then to cross the double-digit growth barrier," he said, while addressing a convocation of the Hamdard University in New Delhi. Reverting to the high growth rate of nine per cent, the Minister added, "calls for imparting fresh momentum to the impressive recovery gained in the past few months". Although India's growth story is going through "exciting phase", Mukherjee said, the country has challenges which are needed to be addressed. 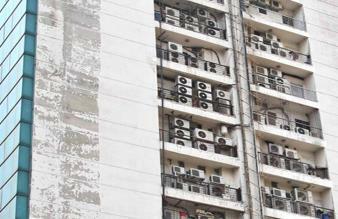 Dhaka, 30 March : The government has directed all households, public and private offices, businesses, shopping malls and shops in city to keep their air conditioners switched off from 6:00pm to 11:00pm until further notice. Bangladesh Energy Regulatory Commission Chairman Syed Yusuf Hossain announced the order with immediate effect at a press conference at the commission’s conference room on Tuesday. 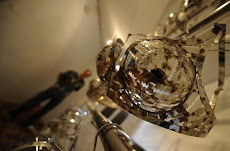 The authorities also decided to disconnect the electricity connections if any consumer was found defiant to the order. Hospitals, hotels and restaurants will remain outside the purview of the order. Kolkata, 30 March : Three exclusive combat ships, known as water jet fast attack crafts (WJFACs), were launched for the Indian Navy by the Ministry of Defence managed Garden Reach Shipbuilders and Engineers Limited (GRSE) at its Rajabagan Dockyard near Kolkata. The three WJFACs will join the Southern Naval Command fleet for both coastal and high seas patroling. The crafts have been christened INS Kabra, INS Koswari and INS Karuva after the names of picturesque islands in the Arabian Sea. 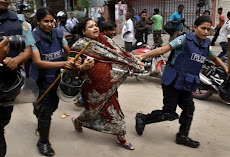 Dhaka, 30 March : The Bangladesh government has dropped two ruling party lawmakers from a panel of public prosecutors aiding the "war crimes trial" to avoid criticism of the process being considered partisan. Nurul Islam Sujon and Sanjida Khanam were dropped from the twelve-member prosecution team as questions regarding their eligibility had been raised. 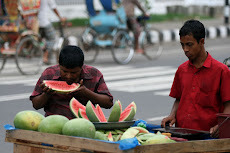 Both are lawyers and lawmakers of the ruling Awami League, a media report said. The change was made barely three days into announcement of the panel of prosecutors for the trial of those alleged to have killed unarmed civilians in the run-up to the 1971 freedom movement. "We have taken the decision, so no controversy may arise," said Law Minister Shafique Ahmed who is piloting the trial process. Ahmed said the investigation team aiding the tribunal has been tasked with studying the International Crimes Tribunal (Act) 1973 and the 1971 government gazettes. Midnapore, 30 March : In yet another killing in the 'jangalmahal' area, suspected Maoists today shot dead a villager at Salboni in West Midnapore district. The body of Binod Mahato was recovered by joint security personnel from Kalsibhanga jungle, with his hands tied to the back side and bullet holes in head, police said. Mahato had earlier received threats from Maoists who accused him of being a police informer, police said. 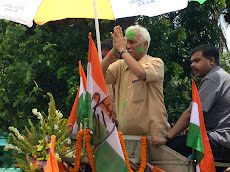 Kolkata, 30 March : A day after expressing a desire to quit the Trinamool Congress and the Lok Sabha, singer-turned-parliamentarian Kabir Suman Tuesday said he took the decision as he refused to be a slave of the party. "I am not a party slave. I am an elected people's representative. I have not been elected by the party. 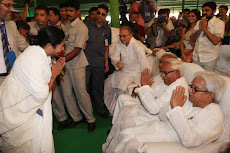 I can only be a slave of the people," an angry Suman told a media meet here. The popular singer-poet said the party had no business to dictate to him about how he should spend his MPS' local area development fund (MPLAD). "They don't have any right to dictate to me. Only the people can, because it is their money. 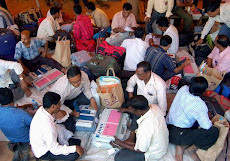 The administrative officials like the district magistrate are there to supervise it. The government accounts people are there to see whether the money is being utilised properly," he said. 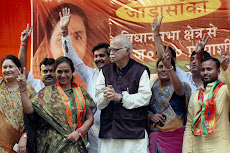 "Some party leaders only tried to put obstacles in my efforts to implement development projects. I was told 'you don't have to do anything, you should only sign the files'," he added. 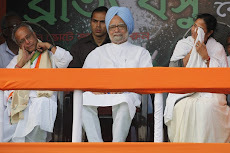 PTI, Guwahati, 30 March : A day after it accused the ruling Congress of indulging in horse-trading during Friday's Rajya Sabha election, the Opposition today staged a peaceful sit-in demanding dismissal of the Tarun Gogoi government. Almost the entire Opposition sat with placards at the main entrance of the Assam assembly as soon as the House assembled in the morning. 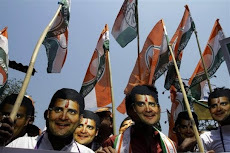 Some of the placards read: 'Save democracy', 'Democracy has been murdered', 'Chief minister Tarun Gogoi resign', 'Dismiss Tarun Gogoi government', 'Disqualify the dissident MLAs'. 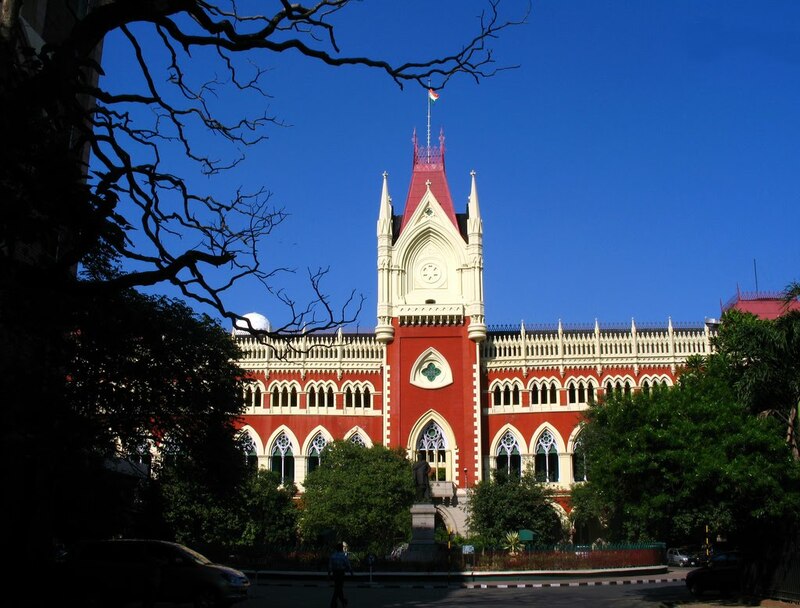 Jalpaiguri, Kolkata, 30 March : The Jalpaiguri Circuit Bench of the Kolkata High Court is ready for inauguration and awaiting a nod from the HC to start functioning, state’s Judicial Department Minister Rabilal Moitra said in the Assembly, on Monday. “We have already completed the infrastructural work for the Circuit Bench. But the High Court is yet to give the required nod for commencement of work,” Moitra said, adding the state government has even appointed the required employees. Earlier, a High Court team had visited the premises and identified 15 lapses. The government refurbished the building as per the HC report. “I had a discussion with the Chief Justice who will visit the place once again,” Moitra said. 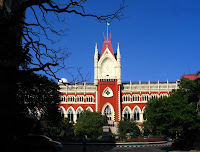 Debaprasad Roy, Congress MLA from Jalpaiguri, said he had received a letter from Union Law Minister Veerappa Moily on the proposed Circuit Bench that said the opening of the Bench could be announced if the Kolkata High Court gave its nod. PTI, Kohima, 30 March : The Joint Parliamentary Working Committee (JPWC) of Nagaland Assembly has resolved to meet leaders of different underground groups for consultation to find a 'common Naga voice' towards finding a lasting settlement to the vexed political conflict. At a meeting chaired by speaker Kiyanilie Peseyie on Monday, the committee members discussed the current Naga peace process and adopted a few resolutions asserting that as elected representatives of the people they should facilitate the talks between the Centre and the underground groups. The resolution, signed by Speaker Kiyanilie Peseyie, Chief Minister Neiphiu Rio and opposition leader Tokheho Yepthomi, said the meeting welcomed the efforts of the UPA government and the NSCN in resuming the political dialogue. UNB, Dhaka, 30 March : The UK Border Agency on Tuesday announced closure of the UK visa application centre in Chittagong with effect from 1 April (Thursday). All the customers in Chittagong have been requested to apply for the UK visas at the visa application centres in Dhaka or Sylhet, said a press release. Full contact details and addresses for both visa application centres are to be found on the VFS website: www.vfs-uk-bd.com. The VFS office in Chittagong will continue to provide UK visa application forms and information. 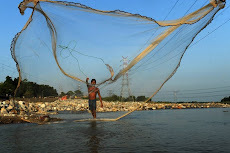 UNB, Bagerhat, 30 March : A dolphin habitat has been located in the coastal rivers of the Sundarbans and swatch of no-ground areas of the Bay of Bengal. At least six species of dolphin and a species of porpoise move around there safely as water and environment of rivers of the world's largest mangrove forest are suitable for dolphins. This was revealed in the report of a survey jointly conducted by Wildlife Conservation Society (WCS) and Bangladesh Cetacean Diversity Project (BCDP). 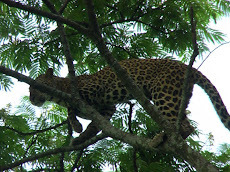 Fifteen experts led by wildlife expert Brian D Smith of the US-based WCS carried out the survey. Jahangir Alam, BCDP coordinator and researcher, told UNB recently that they found 225 Gangetic river dolphins, 6,000 irrawady dolphins, over 1,000 bottlenose dolphins, about 1,400 finless porpoises, and significant number of Indo-Pacific hump-backed dolphins, Pan-tropical spotted dolphins and spinner dolphins in the Sundarbans and adjacent water bodies and swatch no-ground areas. Besides, they found several Bryde's whales and a dead sperm whale during the observation, he said. Jahangir said dolphins move around mostly in the rivers of Dhangmari, Chandpai, Andharmanik, Dudhmukhi, Betmore and Patakata of the Sundarbans East Zone under Khulna and Bagerhat districts. 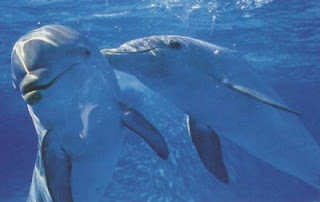 Dolphins are also seen in the rivers of southern region, including Brahmaputra, Jamuna, Meghna, Karnaphuli and Sangu rivers. 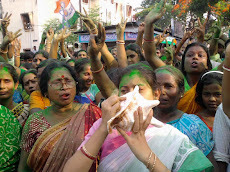 Kolkata, 29 March : Singer-turned-Trinamool Congress Lok Sabha member Kabir Suman on Monday night expressed a desire to resign from parliament and the party in an SMS to Trinamool supremo Mamata Banerjee. 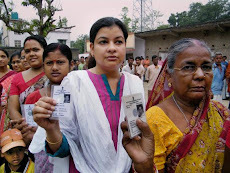 "I am resigning my AITMC (All India Trinamool Congress) membership and Lok Sabha membership at once. 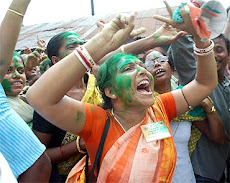 Good luck to you all," Suman said in the SMS, which he also sent to Trinamool chief whip in the Lok Sabha Sudip Bandopadhyay. 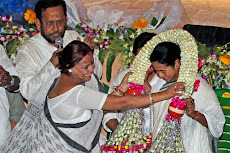 Though Suman did not spell out any reason, the SMS comes months after his frictions with the Trinamool which had prompted Banerjee to describe the popular poet-singer as a "guest" in the party. Acknowledging receipt of the SMS, Bandopadhyay said: "His actions had put us in discomfort. We are now awaiting a formal letter of resignation from him". 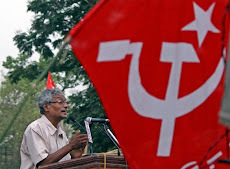 Suman, known for his Maoist sympathies, won the Jadavpur Lok Sabha seat in 2009, but drew Banerjee's ire late last year for accusing a section of party leaders of misusing funds allocated for development work. 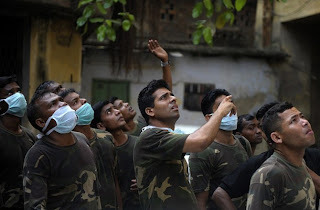 Dhaka, 29 March : Bangladesh government will deploy army personnel from 1 April in aid of Dhaka Wasa to help ease the unbearable water crisis in the capital. 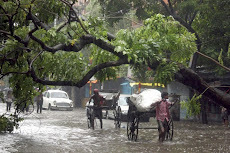 “Like other years, they will help the Water Supply and Sewerage Authority maintain security and water management at every zone and pump station across the city,” Wasa Managing Director Taksim A Khan told Bengal Newz. 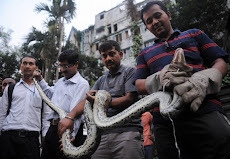 PTI, Kolkata, 29 March : Eight more bodies were on Monday recovered during the clearing of debris at the landmark Stephen Court building which had caught fire on 23 March, raising the death toll to 42. 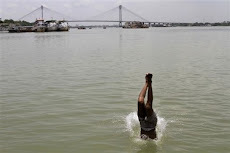 Two of the bodies were found in the early hours, Commissioner of Kolkata Police Gautam Mohan Chakraborty said. "Six more bodies were found during the day from the fifth floor of the building," Additional Director General (Fire Service), Debapriya Biswas told PTI. Police said there could be more bodies buried in the debris. "The search operation is on. I cannot say right now whether this is the total figure. There is every possibility that some more bodies are lying under the debris," Joint Commissioner of Police (Headquarters) Jawed Shamim said. The bodies were sent for post-mortem, he said. The police commissioner had said earlier that FIRs were filed for 37 missing persons. Agartala, 29 March : In a bid to make Agartala a solar city, the Tripura government has decided to make solar energy tapping provision mandatory in buildings. 'The existing building rules would be modified soon to make solar energy tapping provision mandatory in every building for reducing dependency on conventional energy,' Tripura Science, Technology and Environment Minister Joy Gobinda Debroy told reporters here Monday. 'The proposed compulsory provision would be applicable for both private, government and commercial buildings,' he said. 'Union ministry of non-conventional and renewable energy had decided to make sixty cities across India 'solar cities' during the next few years, which includes all northeast state capitals. The necessary survey would be undertaken in Agartala next month to make a detailed project report (DPR) for the solar city plan, the minister added. UNB, Dhaka, 29 March : US Congressional delegation leader David Price on Monday said the trial of 1971 war criminals is an “internal matter” of Bangladesh that needs to address the issue in its own way. “This is a difficult matter…We’re not obviously in a position to judge ongoing internal matters of another country and it is not our role,” he said at a conference at JATRI on the last day of their 3-day visit to Dhaka. Two other Congressmen Stephen Lynch and Jeff Fortenberry were present. During their stay here, the Congressional delegation met Prime Minister Sheikh Hasina and leader of the Opposition Khaleda Zia. Congressman Jeff said the House of Representatives passed a strong resolution on Bangladesh’s return to democracy, observing that it recognised continued relationship between the United States and Bangladesh. 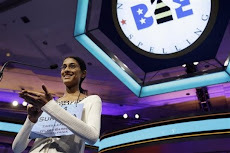 UNB, Dhaka, 29 March : Bangladesh Prime Minister Sheikh Hasina on Monday sought more investment from the United States in the country’s thrust sectors like power and energy, and infrastructure. The appeal came when a US delegation led by Congressman David Price called on the prime minister at her official residence Ganobhaban. Hasina said the stance of Bangladesh against terrorism and extremism is very much clear and her government would not allow any sort of terrorism and extremism in the country. 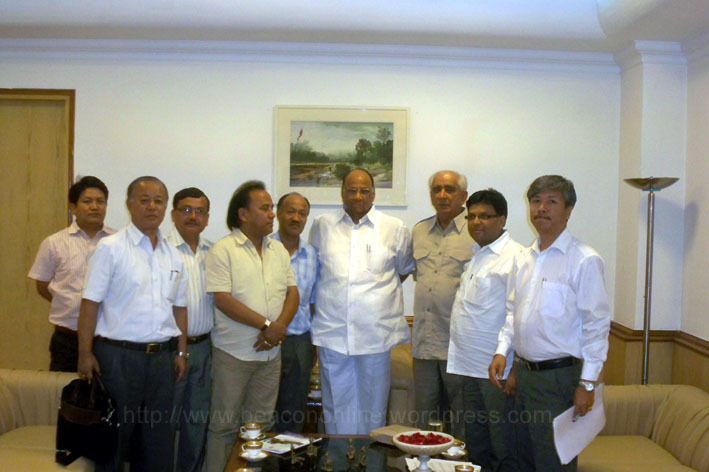 Siliguri, 29 March : A six-member Gorkha Janmukti Morcha team led by its General Secretary Roshan Giri is in New Delhi to discuss certain points on autonomy at a tripartite meeting with West Bengal government representatives and Union Home Secretary G K Pillai. 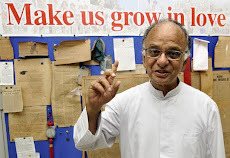 "We are not supposed to disclose everything to the press whenever we go to Delhi," Giri, who left for the Union capital yesterday, said when asked about the tripartite meeting since political level talks are scheduled to begin only on 14 May. Party chief Bimal Gurung at a public meeting at Kurseong yesterday said that the delegation was sent to Delhi to discuss the main issues for an interim arrangement in the Darjeeling hills till 2011 when assembly elections are due in West Bengal. He claimed that the interim arrangement would be as good as a separate state of Gorkhaland. "Only the name will be different." 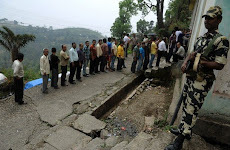 A GJM source said that a demand has been placed for autonomy of 102 departments and some more would be sought. 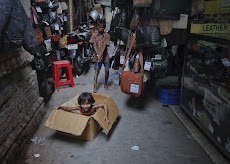 UNI, Port Blair, 29 March : ''Beyond the Horizon'' (Amrit Jal), a short documentary film on Andaman and Nicobar Islands, has been sent to Film Caravan Imperia Travelling short film festival to be held at Imperia, Italy from 4 to 7 August next. Bollywood actor Sanjay Swaraj of 'Guru', 'Jaal' and 'Gangajal' has played the leading role in the documentary. ''This film has already grabbed the best film award in social issues category at the Nasik International Film Festival in 2008,'' Naresh Chandra Lall, writer and director of the film, told UNI here. 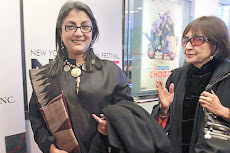 The film was also screened at the seventh International Film Conference on Social Cinema at Nandan, Kolkata, in February, 2008. This is the second time when a film made on Andaman and Nicobar Islands has been sent to the foreign film festival. PTI, Kohima, 29 March : A day-long media workshop on HIV/AIDS has called for application of utmost sensitivity and adhering to Press Council's guidelines on reporting issues related to HIV/AIDS. The workshop "Building perspectives on HIV/AIDS", jointly organised by Dimapur Press Club, Centre for Advocacy and Research and Nagaland State AIDS Control Society (NSACS) and supported by UNDP Initiative at Dimapur yesterday also insisted that media needs updating on various issues such as sigma, discrimination, gender bias, human rights when concerning HIV/AIDS. 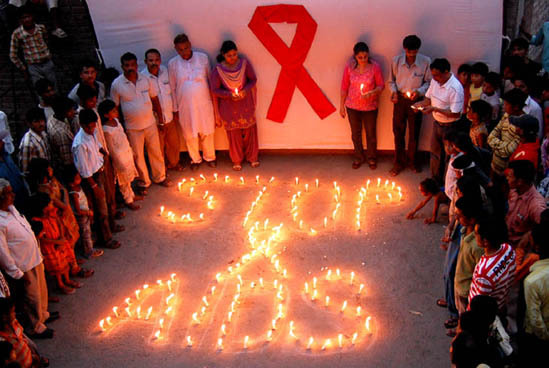 Highlighting on the response of media to HIV/AIDS problem in Nagaland, DPC president Dilip Sharma urged that media in the state needed to move beyond reporting on events, facts and figures on the issue. 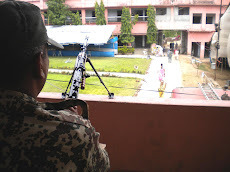 Dhaka, 29 March : A special court has fixed 18 April to deliver the verdict in a BDR mutiny case against 58 jawans of 19 Rifles Battalion in Feni. The three-member Special Court-3, headed by BDR Director General Maj Gen Md Mainul Islam, set the date after completing the hearing on the case Monday. 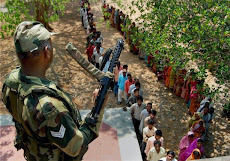 Earlier in the day, 40 out of 58 BDR jawans placed their confessional statements written and orally before the court. They also appealed to the court for reinstating them in job considering financial insolvency of their families. 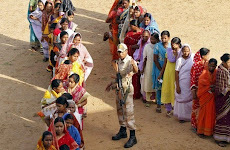 Earlier on Sunday, the court received statements of 18 jawans. Prosecutor of the special court Lt Col Gazi Mohammad Salauddin placed his argument before the court. On Sunday, the court finished recording the depositions of the witnesses. The trial process started on 20 December last year. 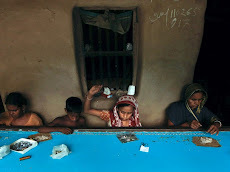 ANI, Siliguri, 29 March : The Taipoo Forest Beat located beyond Siliguri in West Bengal, has evolved an innovative mode of employment for the locals mostly tribals. The project would also help to increase green cover of the degraded forestland. The credit for this innovative concept is attributed to the Conservator of Forests in West Bengal who mooted the extensive bamboo plantation under the National Bamboo Mission. The Range Forest Officer of Taipoo has set up a bamboo cultivation centre where villagers are trained to cultivate bamboo and earn a living. A good number of these villagers are also members of the Forest Protection Committee. Alongside tending the bamboo plantations, the villagers also grow fodder for their livestock. 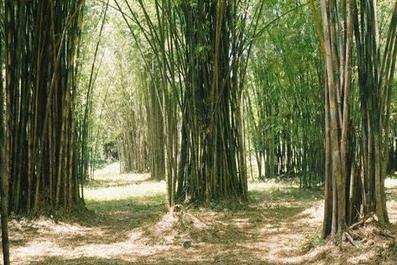 The bamboo produce is auctioned in the market. The villagers endeavour from the Central Bamboo Nursery plays a vital role in the enlivening the depleting forest cover and thus prevent wild animals from entering human habitations. No wonder, the National Bamboo Mission has been a boon for the villagers living in and around the Taipoo Forest Range. 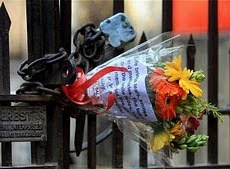 PTI, Kolkata, 28 March : With the death of thirty three people so far, the Stephen Court fire has recorded the highest-ever death toll in any fire incident in the metropolis even as search for the missing is still on. "Never in the past, any fire has caused so much loss of lives in Kolkata either in any residential premises or any commercial complexes, Fire Services Minister Pratim Chatterjee told PTI here. 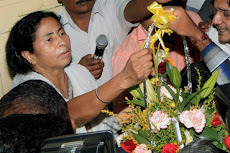 "In my 14-year stint as minister, this is the worst fire tragedy that claimed so many lives," Chatterjee said. 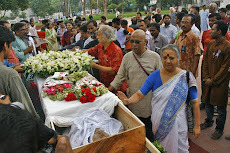 Dhaka, 28 March : Bangladesh government, if necessary, will seek help from Interpol to track down the accused and identified war criminals now in abroad. 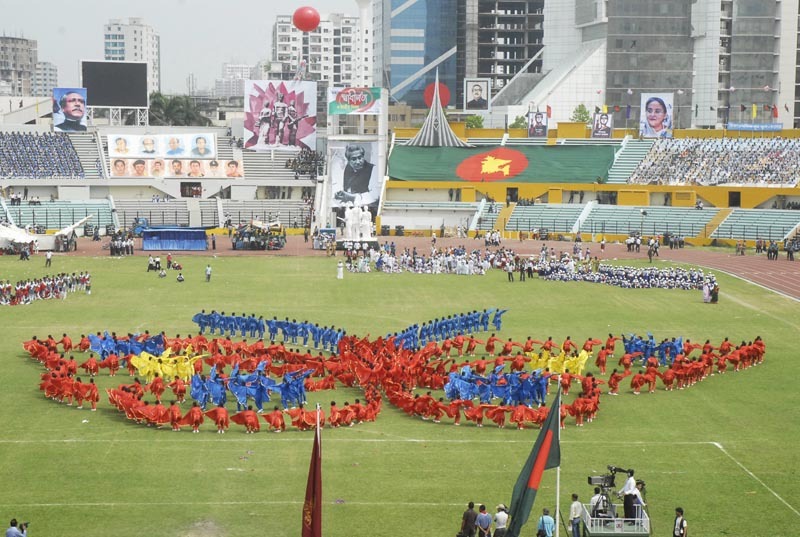 Home Minister Sahara Khatun told reporters while attending an annual sports programme at a city school on Sunday, reports ATN Bangla. She also urged all to cooperate the newly formed war crimes tribunal by giving information about the war criminals. New Delhi, 28 March : India and Bangladesh will launch a joint programme, the first such in South Asia, to save the Sundarbans from the onslaught of climate change. 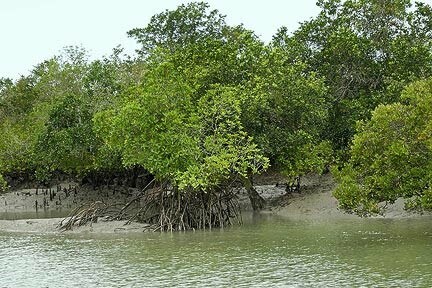 Sundarbans, a world heritage site, is spread over 10,000 km in the two countries, and is home to several hundred tigers and half of rare mangrove varieties found in India, has been facing the risk of disappearance because of climate change induced rising sea levels, media report today said. "There will be a joint forum between India and Bangladesh for protection of Sundarbans ecosystem that spreads from India to Bangladesh," Indian Environment and Forest Minister Jairam Ramesh told Bengal Newz. Ramesh and his Bangladeshi counterpart Dr Hasan Mahmud will launch the joint programme in Kolkata next week, during which officials from the two countries will work out details of the programme. 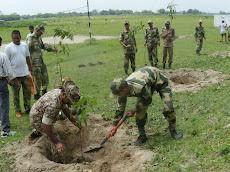 "They (forest officials) will work in close coordination to conserve the fragile ecosystem of the Sundarbans". According to the ministry officials, the two countries would work on conducting a joint census of tigers in the Sundarbans, 60% of which are in Bangladesh. "As tigers migrate from India into Bangladesh and vice-versa, correct estimation of population may not be possible without a coordinated effort," an official said. 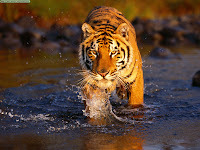 Indian Sundarbans have 60-70 tigers. 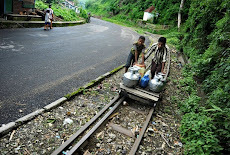 Another area of cooperation is adaptation to climate change. 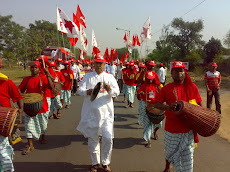 PTI, Kolkata, 28 March : Though Maoists have sent an e-mail to Orissa chief minister's office hinting towards injuries sustained by their top leader Kishenji in an encounter, the West Bengal police is not sure if he was indeed injured and suspect it might be an attempt to divert attention. "We still don't have any information about injury to Kishenji or Bikram and so I cannot tell anything about this," West Midnapore superintendent of police Manoj Verma told PTI. He said this could be a ploy by the Maoists to divert attention of the police from the operation against them on Bengal-Jharkhand border so that they get time to prepare for a bigger assault. 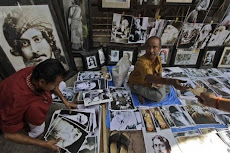 "They have done it before and so this is not a new thing for them," Verma said. 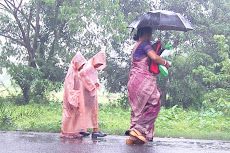 Agartala, 28 March : As many as 44 Buddhist monks from Thailand were stranded Sunday at the Agartala airport after their Kolkata-bound Air India flight was cancelled due to technical snag, officials said here. 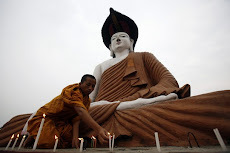 'The monks came to Tripura from Thailand last week to visit Buddhist religious places in the northeastern state. 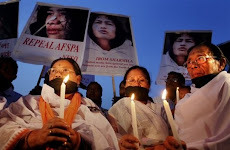 On Sunday they were scheduled to go to Bodh Gaya in Bihar via Kolkata but their Air India flight was cancelled due to a technical hitch,' an Air India official told Bengal Newz here. IANS, Agartala, 28 March : The Tripura government has constituted a police accountability commission to ensure 'impartial and efficient' policing, an official said here Sunday. 'The four-member commission, constituted Saturday, would formulate guidelines for efficient, effective, responsive and accountable policing and identify performance indicators,' the police official told IANS. 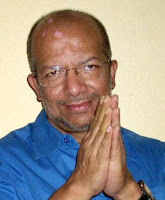 Former Tripura advocate general D.P. 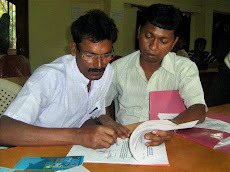 Kundu was appointed as its chairman while social worker Champa Dasgupta, and legal experts Bimal Bhowmik and Dipak Kumar Chowdhury are its members. 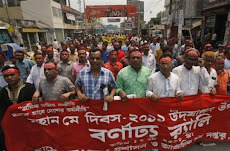 Chittagong, 28 March : Dock Workers’ Federation of Chittagong Port started an eight-hour work abstention programme from 8:00am(BDST) on Sunday demanding reinstatement of terminated workers. 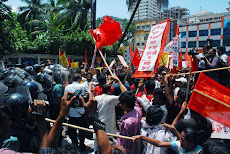 The workers gathered in front of Bandar Bhaban and besieged the building in the morning to press their demand, reports our staff correspondent in Chittagong. Cargo handling activities inside the port remain suspended following the siege. The workers said an inter-ministerial meeting between labour and shipping ministries on 26 October last year decided to appoint the terminated workers and also formed a committee in this regard. 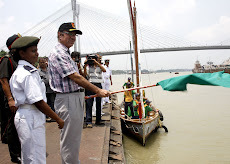 Benapole, 28 March : Irrigation and Waterways Minister of West Bengal Subhash Naskar yesterday inaugurated dredging of the common river Ichamati. 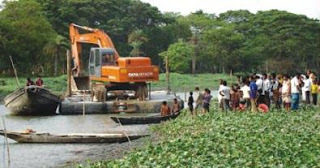 The dredging of 20-kilometre stretch of the river at a cost of Rs 35.68 crore would be conducted from Pipili area of West Bengal to Goga, an bordering area in Benapole. Indian North 24 Parganas District Board President Bharat Das presided the inauguration ceremony of the dredging project. A joint delegation of the two countries on 9 March visited 20 km stretch of the Ichamati. Considering the mid-stream the border, it was decided that 7.5 metres of each side of the river would be widened. Indian Ganges Flood Control Commission's Prashanto Kumar and Executive Engineer Sushanto Chatterjee of West Bengal Irrigation Department and Bangladesh Water Develop Board Executive Engineer Motaher Hossain and Executive Engineer (mechanical) Abdul Hye would supervise the dredging work. Dhaka, 28 March : Tripura is keen to export a major chunk of its gas-generated power to energy-hungry Bangladesh after meeting its own demand, its Chief Minister Manik Sarkar said Saturday. The landlocked Indian state can export 304 megawatt of its surplus electricity to Bangladesh only after Dhaka and New Delhi strike a deal, the visiting chief minister told the reporters in the city. 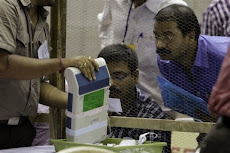 New Delhi, 27 March : Indian Home Minister P. Chidambaram said Saturday that the Left parties will be defeated in the next year's assembly elections in West Bengal. Responding to questions after his address at the national convention of Congress-affiliated lawyers, he said that it was a myth propagated by Left parties that 77 percent of the country's population lives on Rs.20 a day. 'It is a myth that Left parties propagate. They will meet their Waterloo in about 12 months,' he said. 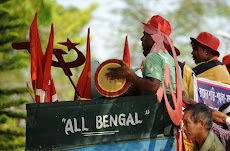 PTI, Kolkata, 27 March : A fresh gun battle today broke out between Maoists and the joint forces in Salboni area, even as police remained tight-lipped over reports that top leader Kishenji was injured in Thursday's encounter at Hatiloth forest in West Midnapore district. 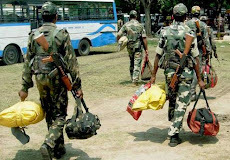 The fire-fight began when the special anti-Maoist CoBRA personnel were carrying out a search in Hatiloth and Bhalukbasa forests, both in Salboni area, besides Chotokalsibhanga forest in Lalgarh area, police sources said. There were no immediate reports of any casualty. 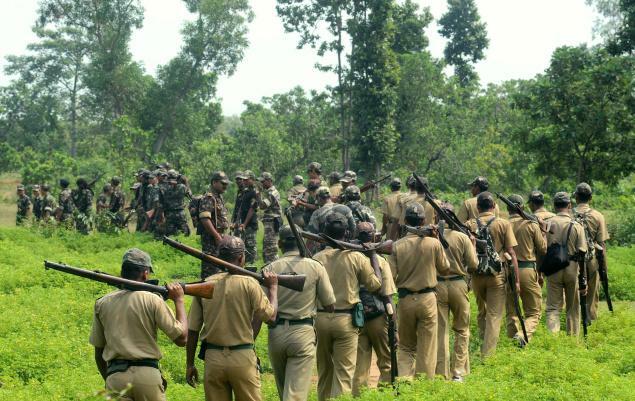 Asked whether Kishenji, who twice escaped arrest, was hurt in Thursday's gun battle with the joint forces, superintendent of police Manoj Verma told PTI, "A group of Maoists in Hatiloth forest were injured, but it cannot be said for certain whether Kishenji was present." 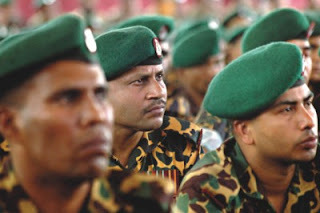 Dhaka, 27 March : The Bangladesh government has assured the political opposition that the war crimes trial that is to begin shortly would be “hundred percent transparent”. Also, the government sought cooperation from the opposition parties. 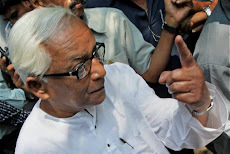 Stating that nobody would oppose “a real trial” of the war criminals, main opposition Bangladesh nationalist Party (BNP) secretary general Khandaker Delwar Hossain, however, said Friday: “The government is doing this only to execute “certain political intentions”. Dhaka, 27 March : Bangladesh Law Minister Shafique Ahmed on Saturday said war criminals must be brought to justice under the International Crimes (Tribunal) Act, 1973 for their involvement in genocide, killings and arson during the country’s Liberation War in 1971. 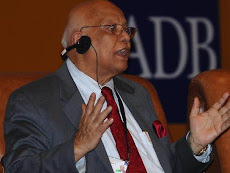 “The government has already formed a tribunal maintaining international standards which will start functioning on Monday,” he told newsmen after attending a workshop organised by Aparajeyo Bangladesh at the IDB Bhaban in the capital. The law minister said the trial of the war criminals is necessary for establishing rule of law in the country. No country, but Pakistan, was against the trial, he said adding the high commission of Pakistan is trying to create obstacles in some cases. 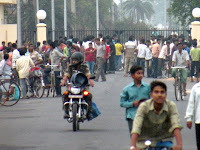 ANI, Guwahati, 27 March : With peace gradually returning to Assam, trade and commercial activities are gaining momentum. 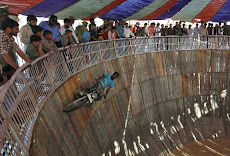 Recently, the Confederation of Indian Industries (CII) had organised “Machinery Mart 2010,” in Guwahati. 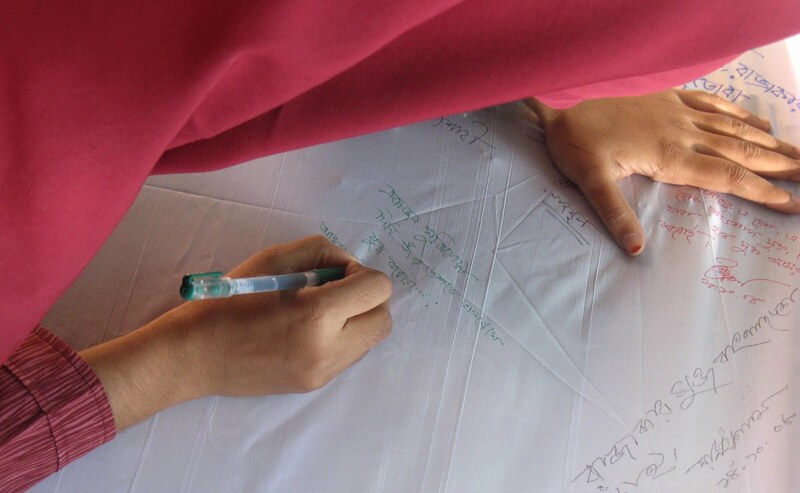 The event benefited local entrepreneurs creating awareness making them about new technological innovations, new techniques of production and packaging of goods. Dhaka, 27 March : Bangladesh Foreign Minister Dr Dipu Moni on Saturday called upon the leaders and workers of the ruling Awami League to remain alert so that no extremist or criminal can take shelter in the party. She made the call while inaugurating a programme to recruit new members for the party at the Circuit House auditorium in Chandpur in the morning. Dr Dipu Moni said the trial of the war criminals was among the election pledges of the AL and everybody is eagerly waiting for the trial now. 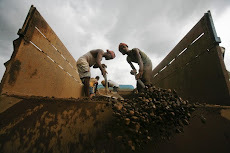 Reuters, Dhaka, 27 March : Hundreds of striking miners at a state-run Bangladeshi coal mine returned to work on Saturday after their demand for higher pay was met, the chief executive of the mining firm said. Rampurhat, 27 March : Six persons were today killed and at least 48 others injured when an overcrowded bus, on way to a fair, overturned on NH 60 near Rampurhat in Birbhum district. Two persons died on the spot as the vehicle turned turtle in an adjacent paddy field, police said, adding two others succumbed to their injuries at a hospital in Birbhum district. At least 48 passengers, injured in the accident, were admitted to Rampurhat Hospital in Birbhum district from where 40 were referred to Baharampur State General Hospital in neighbouring Murshidabad district, police said. 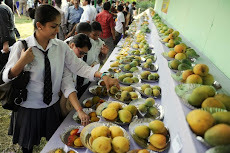 The bus was hired by a group from Nabagram in Murshidabad district to visit the famous Patharchapi rural fair near Mollarpur. UNB, Dhaka, 27 March : Bangladesh Institute of Peace and Security Studies (BIPSS) will organise a two-day international expert roundtable on Security Implications of Climate Change in South Asia at a hotel in the city on Sunday. Climate Change experts and scientists from Norway, Germany, Britain, India, the Maldives, Nepal, Sri Lanka, Pakistan and Bangladesh will attend the roundtable. 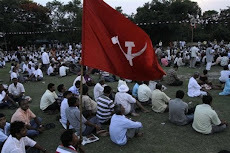 Purulia, 27 March : A former activist of the CPI(M) was shot dead by Maoists in Purulia district, police said today. The bullet-riddled body of Tarani Kumbhakar (50) was found this morning at Kandua forest under Maoist-affected Bandwan area. A Maoist poster found beside the body said Kumbhakar was killed as he was a police informer. 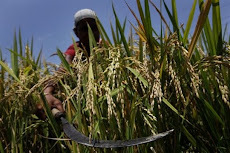 Kumbhakar, a resident of Kaira village in Bandwan police station, had quit the CPI(M) about six months ago following the dictat of the Maoists. 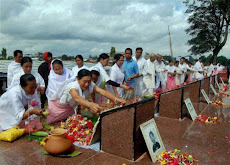 Dhaka, 26 March : The nation Bangladesh on Friday paid glowing tributes to the martyrs who made their supreme sacrifice in the Liberation War in 1971 for the independence of the country. 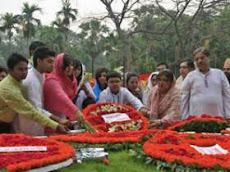 President Zillur Rahman and Prime Minister Sheikh Hasina placed wreaths at the National Mausoleum in Savar in the morning, paying their respects to the martyrs on the occasion of the 40th Independence and National Day. The chief justice, deputy speaker, ministers, advisers to the prime minister, state ministers, parliament members, senior leaders of the ruling Awami League, chiefs of the security forces, diplomats, high civil and military officials, freedom fighters and other dignitaries were present on the occasion, BSS reports. 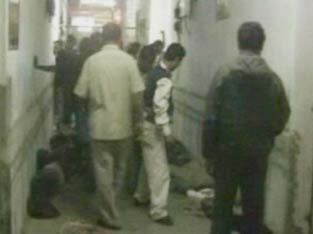 Kolkata, 26 March : With the recovery of four more body from fire ravaged Stephen Court, toll mounted to 30 today. The body was found from the fifth floor of the building and its gender was yet to be ascertained, the police said. 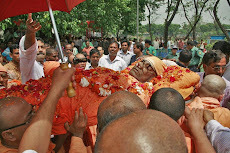 The body, charred beyond recognition, was taken to SSKM Hospital for postmortem. 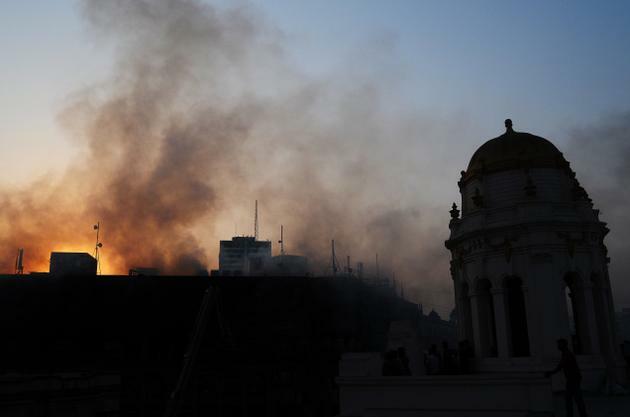 Several persons are still missing after a massive fire swept through the 150-year-old multi-storeyed heritage building housing offices and residences in Kolkata's busy Park Street on Tuesday. A stench from one corner of the fifth floor had prompted the firemen to look for possible bodies hidden underneath the rubble that was being cleared by the Kolkata Municipal Workers employees. 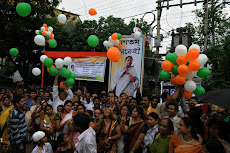 IANS, Agartala, 26 March : Bangladesh's 39th anniversary of Independence was Friday marked in Tripura's capital Agartala as part of first-ever celebrations in Indian cities and 58 other countries. 'For the first time in 40 years, the Bangladesh government has decided to hold cultural programmes, seminars and other events to observe the Independence Day in 59 countries where the country's diplomatic missions exist,' a Bangladesh government official told IANS requesting anonymity. 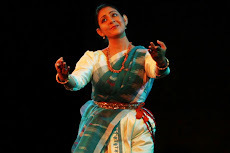 Besides Tripura, these programmes are being held in New Delhi and Kolkata. 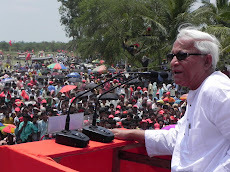 Tripura is the only state in northeast where Bangladesh has a diplomatic mission, he said. 'Indian leaders, intellectuals, cultural activists, journalists and people from all walks of life are taking part in these programmes,' he said. 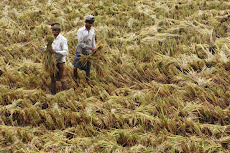 BSS, Dhaka, 26 March : The Indian state of Tripura expressed keen interest to import fertilisers and other commodities from Bangladesh and stressed increased connectivity to facilitate bilateral trade and business. The intention was expressed when visiting Chief Minister of Tripura Manik Sarkar paid a call on Prime Minister Sheikh Hasina at Gono Bhaban in the city. During the meeting, they discussed a wide range of bilateral issues, including expansion of trade and business between the two neighbouring countries for the benefit of the two peoples, said Prime Minister's Deputy Press Secretary Mahbubul Haque Shakil after the meeting. Manik Sarkar said his government has decided to provide a house for setting up Bangladesh Trade Centre in Agartala, the capital of Tripura, for expansion of bilateral trade and business. UNB, Dhaka, 26 March : Bangladesh Prime Minister Sheikh Hasina called upon the children on Friday to prepare themselves to lead the country and free it from poverty and hunger. “You will build the country as a developed and prosperous one by 2021. I have strong optimism that you will be able to do it. So, prepare yourselves in that direction,” she said addressing the National Children-Youths rally at the Bangabandhu National Stadium. 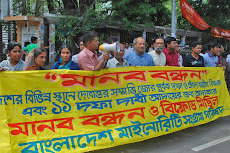 The district administration of Dhaka organised the rally. 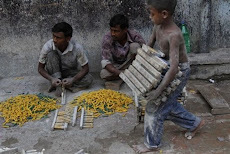 The prime minister said the children will have to grow up to lead the country. They have to know the real history of the country. Kolkata, 26 March : Kishenji, the elusive Maoist leader, might have been injured in a 12-hour-long gunbattle between the rebels and the security forces near Lalgarh, around 160 Km southwest of Kolkata. Kishenji, the elusive Maoist leader, might have been injured in a 12-hour-long gunbattle between the rebels and the security forces near Lalgarh. 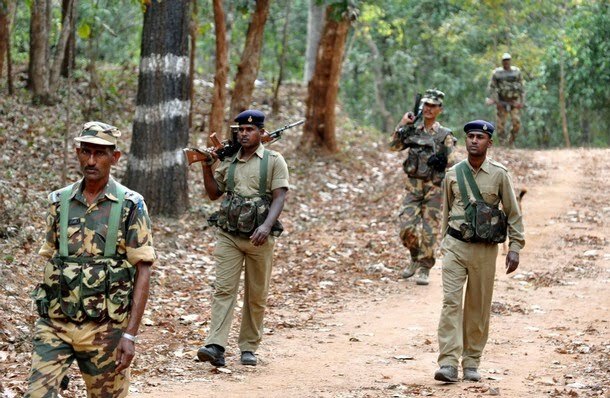 A senior police official of West Midnapore, not willing to be quoted, informed that Koteswara Rao alias Kishenji, was likely to be seriously injured in the exchange of fire that took place at the Hatishol forest close to Lakhanpur village, around 8 Km east of Lalgarh, since 6am on Thursday. Dhaka, 26 March : Bangladesh Home Minister Sahara Khatun on Friday said the government issued instructions for all major airports, seaports and border points not to allow any listed war criminals to leave the country. The home minister said this to reporters after paying homage to the martyred police personnel at Rajarbagh Police Lines marking the 40th Independence Day of the country. On if the government has any plan to arrest anybody before investigation, Sahara said some might be arrested if needed. She also expressed her government’s firm determination to put the war criminals on trial. Durgapur, 26 March : A fire swept through an army base at Panagarh, on Thursday night, even as the state tried was trying to overcome the tragedy of the Stephen House fire in Kolkata’s Park Street. 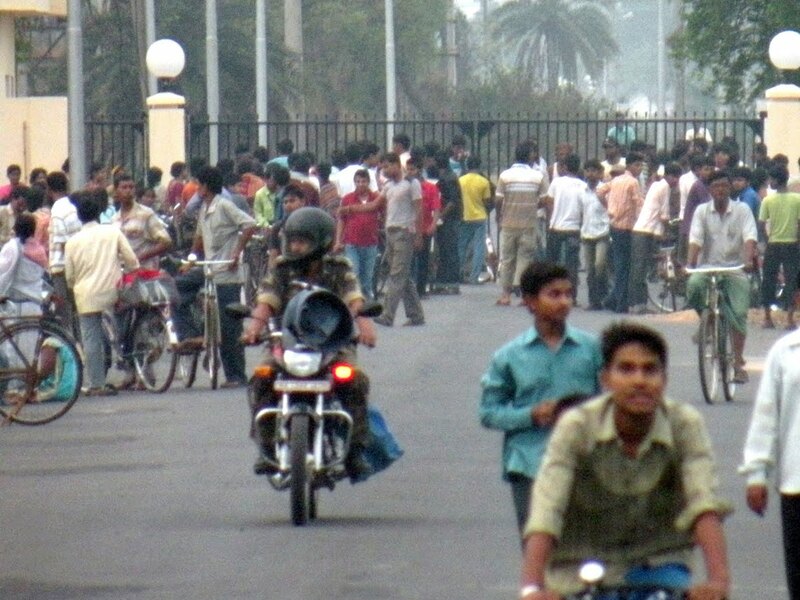 Continuous loud explosions were heard at the army base from 1 in the night for two hours. The base also has a munition that caught fire. However, there were no reports of casualties. Army personnel tried to rein in the fire throught the night. In the morning the fire appeared to be under control. The sky turned red, yellow and black as the explosions triggered high flames leaping into the air, triggering panic among the villagers of neighbouring Bud Bud village. 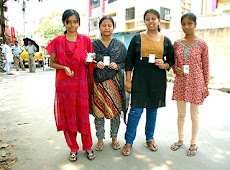 UNB, Dhaka, 26 March : Prime Minister Sheikh Hasina has inaugurated two electronic services--Electronic and Mobile Money Order and Postal Cash Card to improve digitisation of services to the people. Launching the electronic service at Ganobhaban yesterday evening, she transferred Tk 5,000 to the caretaker of her Tungipara residence Boikantha Babu through the mobile money order. Earlier, the PM released commemorative postal stamps on the occasion of the Independence and National Day. 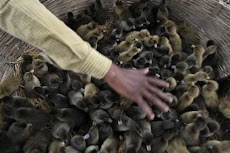 PTI, Guwahati, 26 March : The Assam State Zoo with its whopping 1200 odd animal species, including rare ones such as emus and black panthers, has over the years become a tourist favourite while also witnessing manifold increase in revenues. 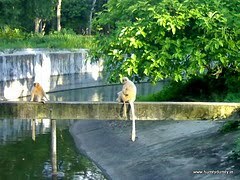 From a humble start in 1957, the Assam State Zoo and Botanical Gardens (ASZBG), located in the heart of Guwahati has crossed many hurdles from being one of the worst managed zoos with a serious fund crunch to one that can boast of a series of successes in breeding rare and endangered animals. 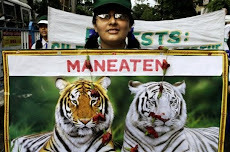 In year 2009-10 the zoo's earnings rose to a record Rs 60 lakh as over 5,24,598 Indian tourists and 166 foreigners visited the zoo spread over an area of 175 hectares of scenic landscape which also provides a crucial green lung to the every growing city, Narayan Mahanta, Zoo Director told PTI. 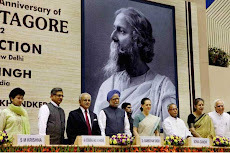 BSS, New Delhi, 26 March : "Celebrations of Bangladesh National Day always take me back to the heady days of 1972 when Sheikh Mujib signed a treaty of friendship with India, and India drew up a plan to assist in reconstructing his country which had been ravaged by the Independence War." 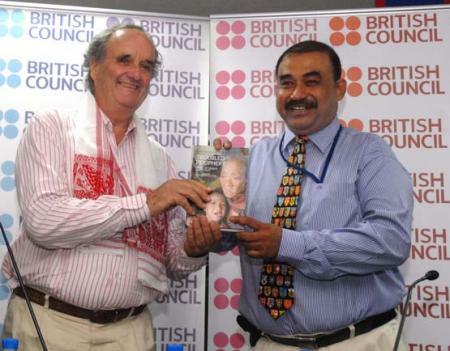 Former BBC correspondent and author Mark Tully said this in an article published in the Indian media on the occasion of the 40th Independence and National Day of Bangladesh. "By a strange irony of history the present Indian Prime Minister Dr Manmohan Singh was the author of that plan," he said. Tully in his article also recalled his meeting with Bangabandhu Sheikh Mujibur Rahman during his first visit to Dhaka after liberation when Sheikh Mujib expressed his deep gratitude to India and a personal affection for the then Prime Minister Indira Gandhi. 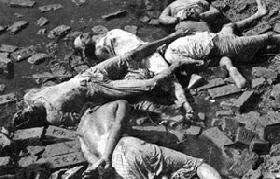 Dhaka, 25 March : Bangladesh government on Thursday formed the much-awaited tribunal for the trial of crimes committed during the Liberation War in 1971. Justice Nizamul Haque of the High Court Division has been made chairman of the three-member tribunal. Two other members are HC judge AKM Fazle Kabir and retired district judge AKM Zahir Ahmed. At a press briefing at the secretariat, Law Minister Shafique Ahmed also announced a 12-lawyer prosecution team and seven-member team for investigation. Advocate Golam Arif Tipu will lead the prosecution team while former additional secretary Abdul Matin will lead the investigation. 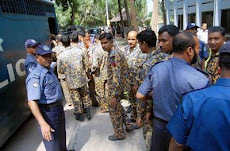 The investigation team comprises former inspector general of police MM Abdur Rahim, ex-deputy inspector general Qutubur Rahman, Major (retd) ASM Shamsul Arefin, Additional DIG of the Criminal Investigation Department Mir Shahidul Islam and CID inspectors M Nurul Islam and Md Abdur Razzaque Khan. Dhaka, 25 March : Bangladesh Prime Minister Sheikh Hasina handed over Swadhinata Puroshkar (Independence Award) 2010 to 10 distinguished persons and an organisation at Osmani Memorial Auditorium on Thursday, a day ahead of the Independence Day of the country. The award recipients are AKM Samsul Haque Khan (posthumously), Syeda Sajeda Chowdhury and Belal Mohammad in the category of independence and liberation war, Prof Zillur Rahman Siddiqui and Jatin Sarker in education, Romena Afaz (posthumously) and Dr Mustafa Nur-ul Islam in literature, Waheedul Haq (posthumously), Alamgir Kabir (posthumously), Ferdousi Priyabhashini and Bangla Academy in culture. The government nominated the eminent persons and Bangla Academy for the award in recognition of their glorious contributions to the nation. 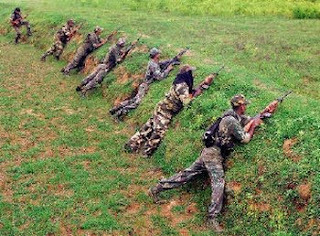 Midnapore, 25 March : A jawan of the elite CoBRA battalion was injured in a fierce gunbattle with Maoists at Hatipota village in West Midnapore district, while armed encounters took place at Dharampur, Silda and Kalsibhanga areas during combing operations in the district today. Police said Awal Singh of CoBRA 200 battalion was critically injured and rushed to Midnapore Medical College and Hospital. "Situation at Jangalmahal is very tense now," police said. 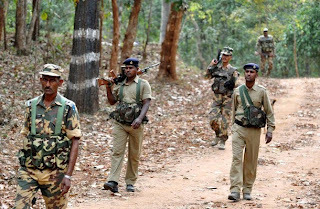 Maoists also blasted two powerful landmines at Dharampur, and another at Kalsibhanga village at Salboni to resist a combing operation by the combined forces but none was injured in either of the incidents. 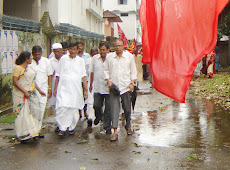 A group of Maoists ransacked and burnt down the CPI(M)'s local office at Silda early today. The ultras also went on the rampage at Etela forest beat office near Silda and burnt down official documents. 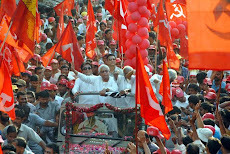 Kolkata, 25 March : Concerned over unauthorised constructions in the heart of the metropolis in disregard of rules, West Bengal Chief Minister Buddhadeb Bhattacharjee today cautioned the Kolkata Municipal Corporation and Municipal Affairs and Urban Development department against such constructions. "I understand a racket is working in connivance with a section of the administration. 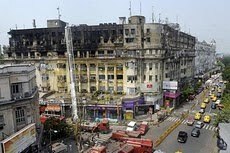 The fire at the Stephen Court on Park street, which claimed 24 lives, has opened our eyes and we need to intervene in such situations everywhere to prevent tragedies like these," Bhattacharjee told the state Assembly. 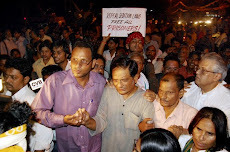 He was replying to a point of order raised by the Congress leader, Manas Bhuniya. 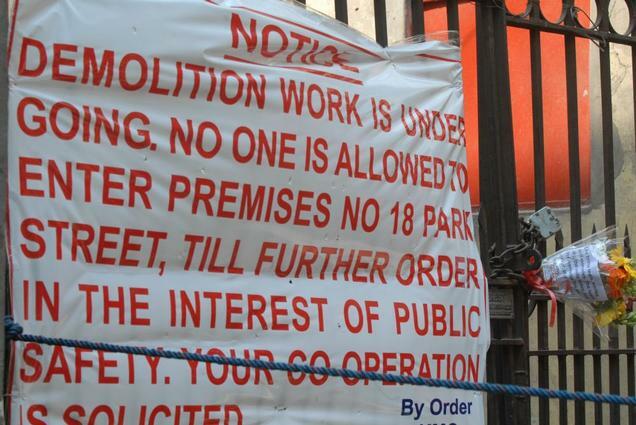 "Without stern action against those offending the laid down rules and allowing unauthorised constructions in the metropolis and around, the situation cannot be controlled," Bhattacharjee said. "I can't allow such a situation to take place and I must act on it." 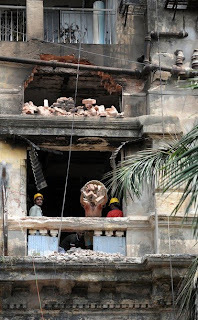 Bhattacharjee said the immediate step would be to remove bodies from the heritage building and ensure treatment of the injured. The accumulated debris have to be cleared and make sure that firemen enter the interiors unhindered. Kolkata, 25 March : Firemen searched for missing persons in the debris, three days after the landmark Stephen Court on famed Park Street was ravaged by a devastating fire, even as municipal workers began demolishing damaged portions of the top floors of the building. Forensic experts are scheduled to conduct DNA tests today on four of the 24 retrieved bodies whose identity remained disputed in claims and counter-claims. The firemen, who gained access to the ravaged interiors of the fifth and sixth floors of the building yesterday, were today busy removing the debris in search of missing persons. Police said the stench from one corner of the fifth floor had prompted the firemen to look for possible bodies hidden underneath the rubble. As a special team of the KMC, assisted by personnel of the civil defence, began demolishing the damaged parts of the top fifth and sixth floors of the building, a section of the residents demonstrated demanding that they be allowed access to the building before the demolition began to collect their valuables. UNB, Dhaka, 25 March : Prime Minister Sheikh Hasina on Thursday said everything related to the Liberation War will be preserved for the next generation. “The future generation will be able to know the facts about the Liberation War,” she said at a ceremony marking the distribution of the Independence Award at the Osmani Memorial Auditorium. Cabinet Division organised the function where 10 eminent persons and an organisation received the Independence Medal for their outstanding contributions to the country, Liberation War and in social welfare. Khulna, 25 March : A Khulna court on Thursday issued arrest warrants against Jamaat-e-Islami chief Motiur Rahman Nizami and deputy chief Delwar Hossain Sayedee on charge of hurting sentiment of Muslims. 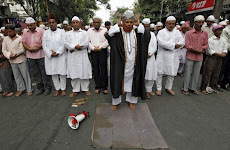 Rafiqul Islam Khan, Dhaka city unit chief of the party, who reportedly kept Nizami on a par with prophet Hazrat Muhammd (PBUH), also faces arrest in the case. Khulna Chief Metropolitan Magistrate Md Barekuzzaman issued the warrants in line with a case filed by a former leader of Bangladesh Chhatra League, Prothom Alo reports. The complainant in the case alleged that Rafiqul Islam at a discussion in Dhaka on 17 March compared Nizami with the prophet. 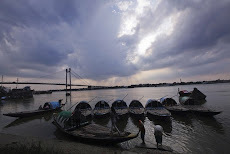 Kolkata, 25 March : Although the ministry of shipping said that INR 267 crore would be released as dredging subsidy to the Kolkata Port Trust which administers the Kolkata and Haldia ports. 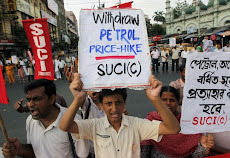 Ministry officials indicated that this could be last time such a subsidy would be disbursed. Operations at both the facilities have been substantially hampered in recent months due to heavy siltation of major navigational channels. The situation has been salvaged by dredging of these routes, undertaken by the Dredging Corporation of India which has cost KoPT upwards of INR 250 crore. For this fiscal, KoPT had claimed more than INR 700 crore from the ministry of shipping including old dues and the Budgetary provisions. 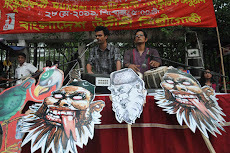 Dhaka, 25 March : During the Bangladesh Liberation War, Swadhin Bangla Betar Kendra played a crucial role. While the Freedom Fighters fought the Pakistani occupying forces in the battlefields, the artistes of the radio station were engaged in another kind of war - keeping the hope of freedom alive among the millions. In the course of the nine-month war, the station inspired the nation with their songs and several programmes. As a tribute to Swadhin Bangla Betar Kendra and its artistes and songs, Close-up and ntv are jointly releasing “Chetonaye Swadhin Bangla Betar Kendra” this Independence Day (26 March) - a compilation of 50 patriotic songs aired from Swadhin Bangla Betar Kendra. The songs have been re-recorded. The album contains five CDs. Twenty Swadhin Bangla Betar Kendra veterans and 20 “Close-up 1” contestants (representing the current generation) have recorded songs for the album. A concert featuring the songs will be held at the south plaza of the National Parliament on 26 March. 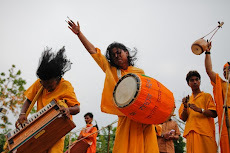 Shujeyo Shyam and Ajit Roy are the music directors of the album. Musician Partho Barua has done the music arrangement. 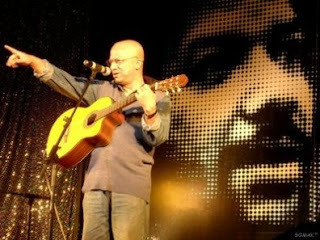 Fakir Alamgir, Kalyani Ghosh, Timir Nondi, Rafiqul Alam, Shujeo Shyam, Gazi Mazharul Islam, Kaderi Kibria, Bulbul Mohalanobish and Manoranjan Ghoshal are among the artistes who have recorded songs for the album. Dhaka, 25 March : Police on Thursday arrested a top outlaw along with his six associates while illegally entering Bangladesh from India through Bongaon border in Khulna. Soulendro Nath Biswas, 52, the founder of ‘New Biplobi Communist Party’, an underground outfit operating in Khulna region, left Bangladesh in 1999, police said. A team of Bongaon police captured the outlaw with his six companions at about 11:00am(BDST). The outlaw leader is accused in 30 criminal cases including 22 murders, and received death penalty twice in separate cases. Kolkata, 25 March : A Bangkok-bound Thai Airways plane with 248 passengers on board made an emergency landing at the airport here. The Thai Airways plane, TG-318, landed under emergency conditions at the NSC Bose International Airport last midnight after a technical snag was detected, airport sources said today. The passengers were off-loaded and repair work was undertaken, they said, adding the plane was going from Mumbai to Bangkok.